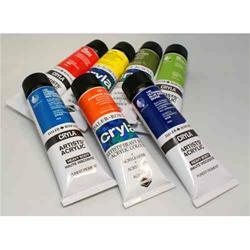 Many leading contemporary artists use acrylics as they possess very different properties to oils or watercolours. When dry, acrylics lose their solubility very rapidly and this is a great advantage to painters who wish to work quickly. A painting that might have taken weeks to accomplish in oil, due to the drying time, can be completed in one session with acrylics. 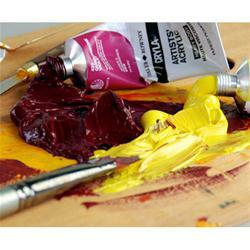 Acrylic colours are classed as the “new” painting medium as they have only been around for a few decades. 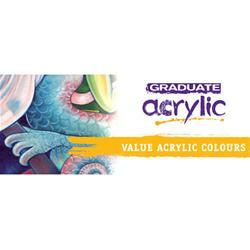 Acrylics have gained in popularity over the years and are now the painting mediums of choice. This is due to the plethora of application techniques and their ability to take to virtually any surface. The versatility of acrylics is built into the formulation of the paint, giving them excellent adhesion properties that allows to stick to surfaces from concrete to wood. Acrylics have the flexibility to move with the surface, expanding and contracting while still maintaining their integrity. Acrylics on canvas can even be loosely rolled up without affecting the finished film. Thinning with water allows watercolour techniques to be achieved without having to choose specially sized surfaces. 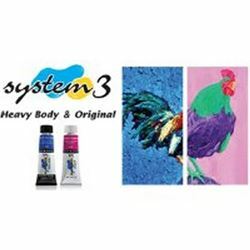 Using the colour straight from the tube allows oil like impasto marks to be created without the drawback of long drying times or worrying about “fat over lean” principles.